We are excited to share the most recent news of change and growth from the Attitudinal Healing community around the world. Join us in being a part of this ongoing transformational work and continue to help make a difference in the lives of so many! Join bestselling authors Gerald Jampolsky, M.D. 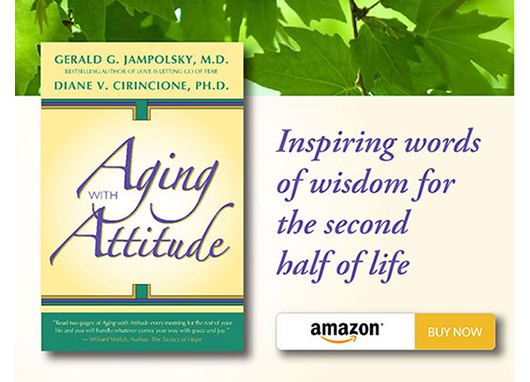 and Diane Cirincione, Ph.D., as they talk about their new book, one that will change your mind about aging. It offers inspiring new perceptions for living the second half of your life with inner peace, happiness and tranquility, regardless of what may be happening to your body and mind. 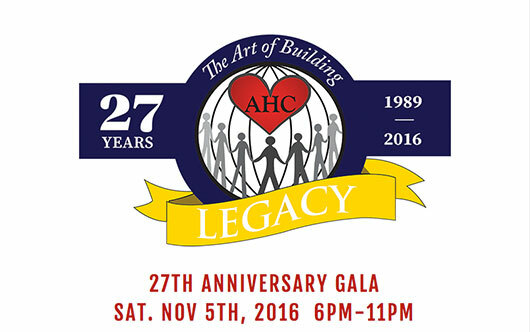 AHC has been working in the global community for 27 years, is deeply rooted, and a part of Oakland's legacy. We encourage you to join them for this wonderful event. Your support will help AHC continue uplift and inspire children, youth and adults through art, education and leadership. Click here for more information. Congratulations to AHC-Oakland on receiving 4 major awards to date in 2016! AHC Co-Founder Kokomon Clottey, Oakland Mayor Libby Schaaf, AHC Executive Director Amana Harris. Receiving 2016 Secret Sauce Award. 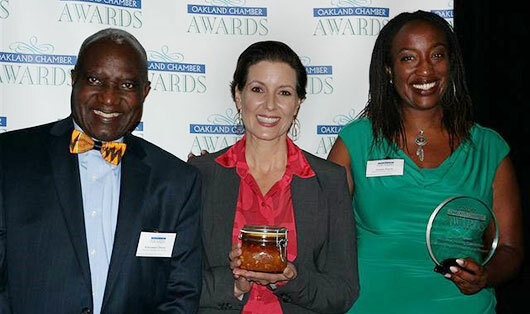 Secret Sauce Award was awarded by Oakland Mayor Libby Schaaf and the Oakland Chamber of Commerce, recognizing AHC and the Super Hero Mural Project for engaging youth in community issues and solutions through the power of public art. Best of East Bay 2016, Best Arts Non-Profit Award recognized the Super Hero Mural Project. Sustainable Transportation/Environmental Enhancement Project of the Year was presented by the California Department of Transportation. CECURA Monterrey celebrates their 15th Anniversary on October 8, 2016 with a public event featuring “The Magic of Attitudinal Healing” workshop by CECURA Mexico Founder, Maruja Candano, and a lecture entitled “Service, A Natural Attitude,” presented by former Director of Tec de Monterrey, Alfredo Pena. CECURA Monterrey offers ten Attitudinal Healing groups in seven locations in the Monterrey metropolitan area, and has supported the opening of AH Centers in four other cities in Mexico, and one most recently in Toronto Canada. For CECURA Santo Domingo, 2016 has been a year in which the seeds of love, hard work and perseverance have germinated. This year they joyfully celebrated their 7th Anniversary with the opening of a beautiful new center facility, partially funded by the Jampolsky Award they received in 2014. For the first time, they are able to expand their support groups and have already begun training new facilitators. 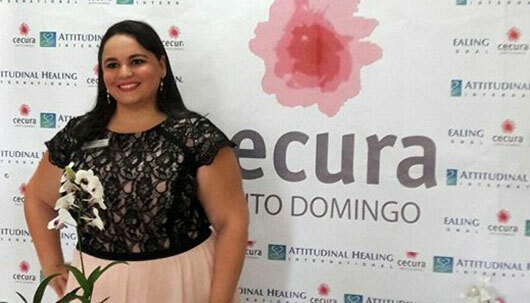 Along with the opening of the new center, CECURA Santo Domingo has launched a new innovative 14-week Attitudinal Healing training that is offered online as well as on site to support Spanish speaking people anywhere in the world. Inspired by their participation in a workshop at the 2014 AH International Conference offered by Memory Bridge Founder, Michael Verde, AH Western Australia (AHWA) embarked on a collaboration with the Perth Alzheimer’s Association, the City of Melville, and Memory Bridge to educate local communities about heart-centered Alzheimer’s care. Last year, AHWA hosted Michael Verde to offer several workshops in Perth, attended by hundreds of enthusiastic participants. Following Michael’s visit, a collaborative project called “Building Bridges” was launched to serve local seniors and persons with Alzheimer’s. Trisha Halvorsen of AH Western Australia coordinates the project, which includes regular tours of a local art gallery and a monthly “memory café” for people with Alzheimer’s and their loved ones. Earlier this year International Communications Coordinator for AHI, Trish Ellis, offered an online AH training for Building Bridges volunteers. 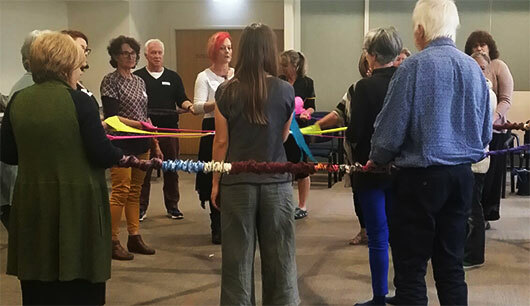 In September, she presented a series of Attitudinal Healing workshops and trainings throughout the Perth community for staff and volunteers at senior care facilities, university psychology students, church congregations, members of senior community centers and facilitators at the AH Western Australia Centre. Participant feedback below reflects how AH continues to support people of all ages and circumstances to experience inner peace. 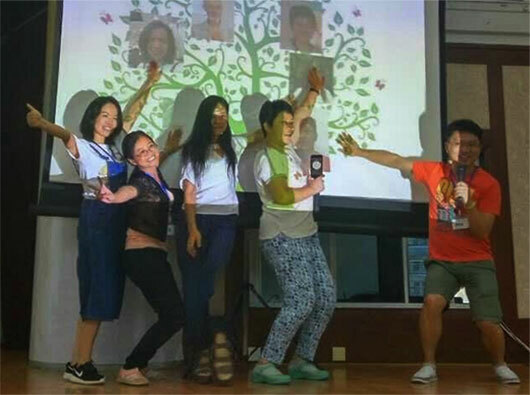 Early this year, AH China volunteer translator Ni Hui gathered a team of volunteers to translate the Power to Choose curriculum into Mandarin, in preparation for China’s first Power to Choose training workshop held in Shenzhen in July. In this training, AHI international trainers, Trish Ellis and Joe Keery worked with 113 participants, including six teens, to learn and practice facilitating the youth program in creative and culturally appropriate ways. In addition to offering the program in school settings, several participants plan to adapt the curriculum for use with adults. One local psychologist will utilize the program in her work with first-responder crisis workers. A 3-year plan is being developed to provide AH Facilitator Training and Power to Choose Training to teachers and social workers throughout China, especially those who work with children in the countryside. The next facilitator training is scheduled in March in Beijing, followed by a training for 200 countryside teachers in July 2017. 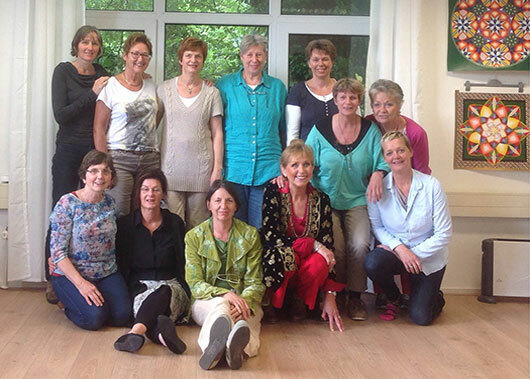 Last month, enthusiastic and well-seasoned facilitators attended the first Power to Choose Facilitator Training in the Netherlands. Many of them plan to initially use the curriculum with their current AH Support Group members. Els Thissen, Founder of Stichting Centrum voor Attitudinal Healing, and her volunteer translators have also made some appropriate adjustments to the curriculum for use with adults. They have offered a pilot 12-session adult program that began in September. Other Power to Choose programs are ongoing throughout Mexico, as well as in Cameroon and Ghana. The curriculum was translated into Italian this year, with plans to offer a Facilitator Training in Rome early in 2017. Watch the AHI website for updates on all youth programs offered in the Attitudinal Healing global community. 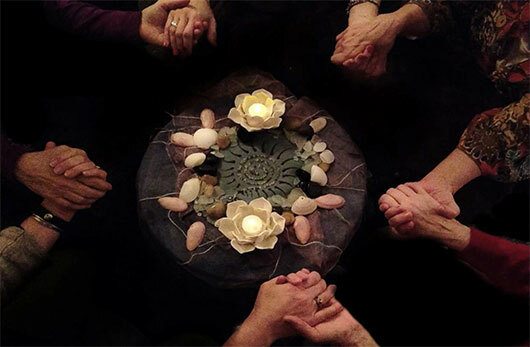 Following the tradition of the founding Center for Attitudinal Healing, Heartlight Center for Inner Peace, an AH Center serving Central New York near Syracuse, offered its first AH Study and Support Group for cancer patients and their caregivers this past year. The program will now serve as a template for future focused groups using Heartlight’s curriculum to explore each of the 12 Principles through readings, meditation, written exercises and voluntary participant sharing. For this particular group, Heartlight was fortunate to form a partnership with the ALIVE! Foundation to solicit participants as well as provide financial support. This local foundation was formed several years ago by Julia Wamp, a cancer survivor herself, to provide education and empowerment to other survivors. The Study Group was facilitated by two experienced Facilitators, one a cancer survivor and the other a healthcare professional with experience in oncology. They also were very fortunate that a beautiful space for meeting was provided gratis by a local business and oncology practice. This powerful initiative undoubtedly will lead to additional innovation and other uniquely offered groups. Though Heartlight has provided Study Groups since 2009, it continues to explore additional ways to serve the needs of their Central New York community. 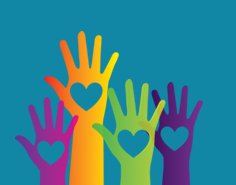 Offering support to cancer patients, survivors, and their caregivers was a unique privilege, and one they hope to continue to share and expand. Through our numerous ways to donate, your donation can truly make a difference! We value your partnership and generous financial support. Every donation is deeply appreciated. 87% of all donations went to Direct Services 2015-2016.